It’s pushing over 100 degrees when I arrive at the border between Montenegro and Albania. There is a massive line of cars waiting, to get into Albania. I join a handful of motorcycles that weave closer to the control point, but we still have to wait. I take off my jacket and helmet, and as the cars move ahead, I push my bike forward. I’m hanging with a couple from the Czech Republic who don’t speak English, but yet we manage to chat about motorcycles, Prague, and more. On my way to the coast, I pass through sweeping valleys with charming small towns. At the immigration and customs checkpoint, the officials stamp my passport and ask for the bike documentation. I keep this in a waterproof Ortlieb envelope pouch. I keep this in my tank panniers, but the documents stick to the plastic which makes it difficult to pull them out or file them back in the pouch. I struggle to pull the documents out, and the Montenegrin official just waves me on. That was easy. The roads are decent, but there is a lot of traffic. 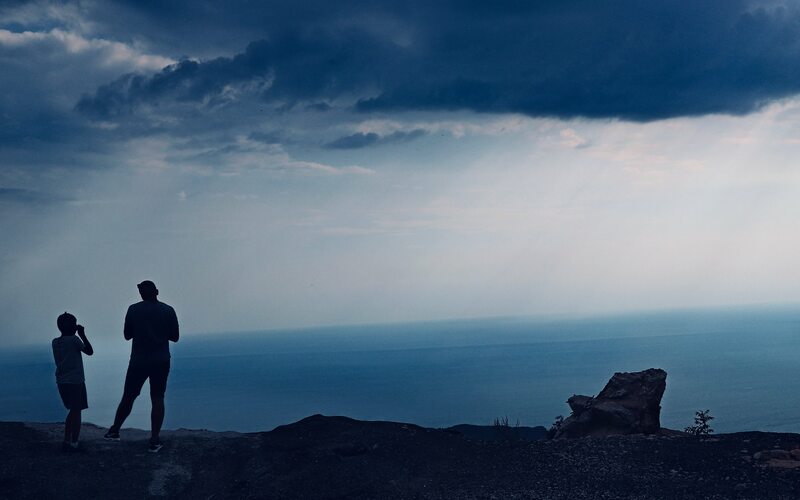 I head to the coast, and as I climb and twist over the mountains, I round a long and tight turn and pulling out of it I’m treated with a grand view of the Adriatic Sea and the tiny island of Sveti Stefan, and the sprawling coastal resort of Budva. 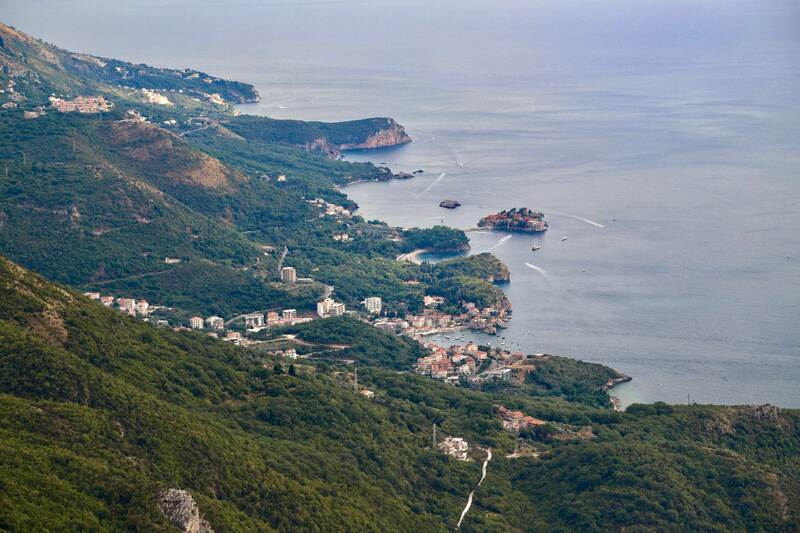 Looking down on the town of Bečići, just south of Budva with gorgeous Svet Stepan in the distance. Winding down the hill I get caught in crazy Budva traffic, and soon find myself behind a Mini Cooper convertible with New Jersey plates. I wonder how he got here. 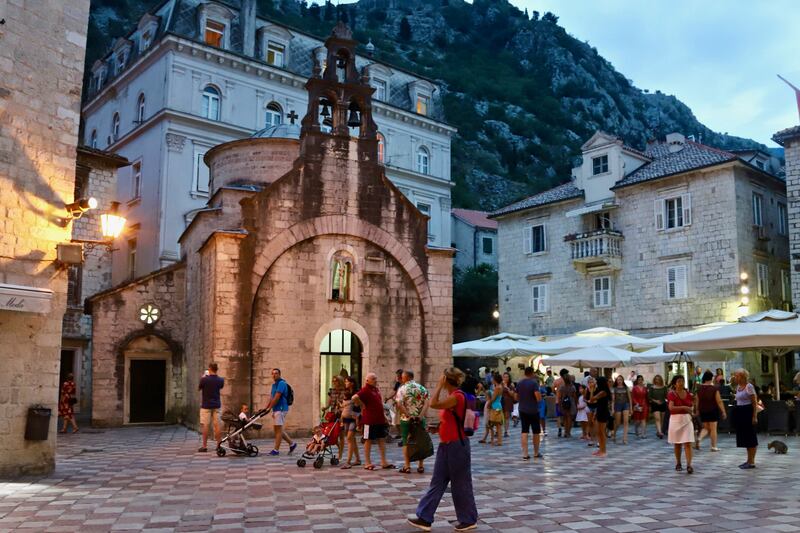 By the time I get checked into my hotel in Kotor and explore the old town behind the city walls, I find myself swallowed by swarms of tourists. The entire town is a UNESCO World Heritage Site and is beautifully kept, but no matter where I turn, I find crowds. 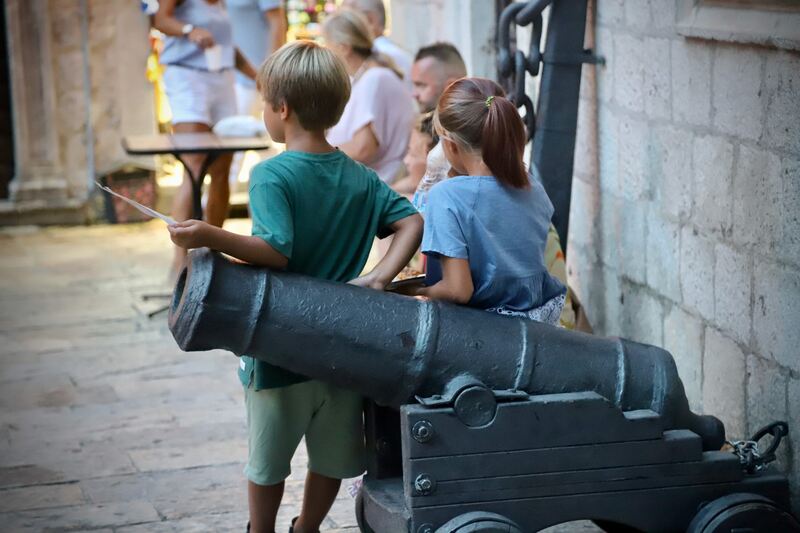 With expanding tourism, I find more and more families with children wandering these streets. 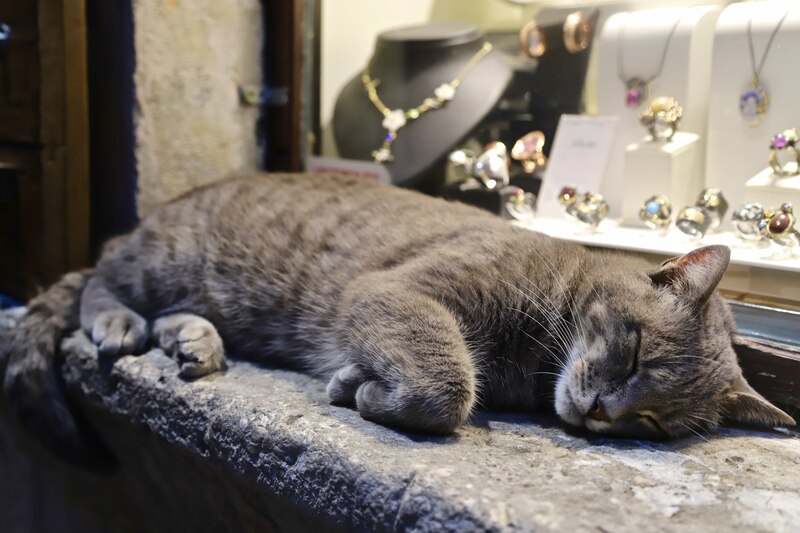 You can find jewels in Kotor, like this feisty cat who wasn’t so happy when I woke him up to take his picture, swatting at me and strongly suggesting I let him sleep. Until now, I have been lucky to travel a bit off the tourist track. Today, that changed. 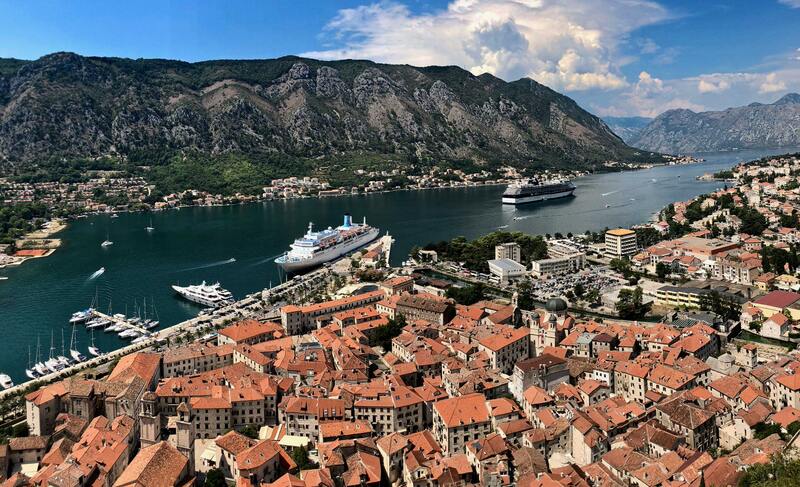 Kotor is a small stone medieval town tucked into a hidden part of the Bay of Kotor. 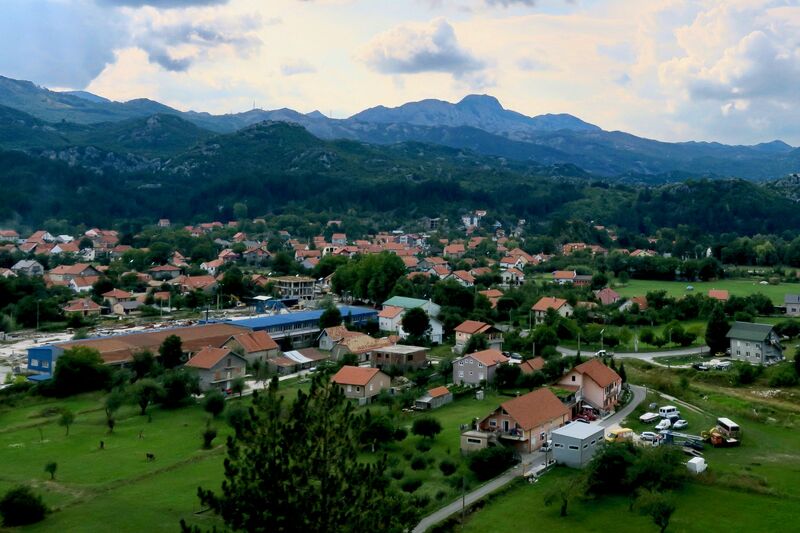 Built between the 12 and 14th century, the walls of the city crawl up the steep craggy mountain that wedges this town between the hills to the east and the crystal blue waters of the bay. Cozy cafes, outdoor restaurants, live music, venues, and dozens of ice cream stands dot the cobblestone plazas and walkways. Today I find a craft beer festival, but I prefer the local light beer, Niksicko made by the Trebjesa Brewery in Niksic, a small town nestled in a valley in the mountains and known for fresh mountain spring water—the perfect ingredient for brewing beer. I sit down in a small plaza outside a Romanesque church at a jazz bar that is playing a long set of music from the recently passed Aretha Franklin, celebrating her life and projecting a picture of her on the stone walls of the cafe. 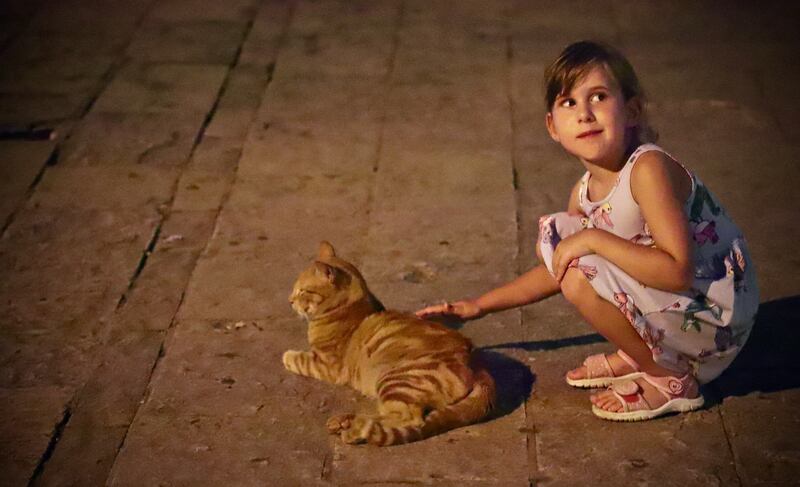 Cats are very present in Kotor, they date back to the towns maritime heyday where they would stow and escape from ships all over the world. 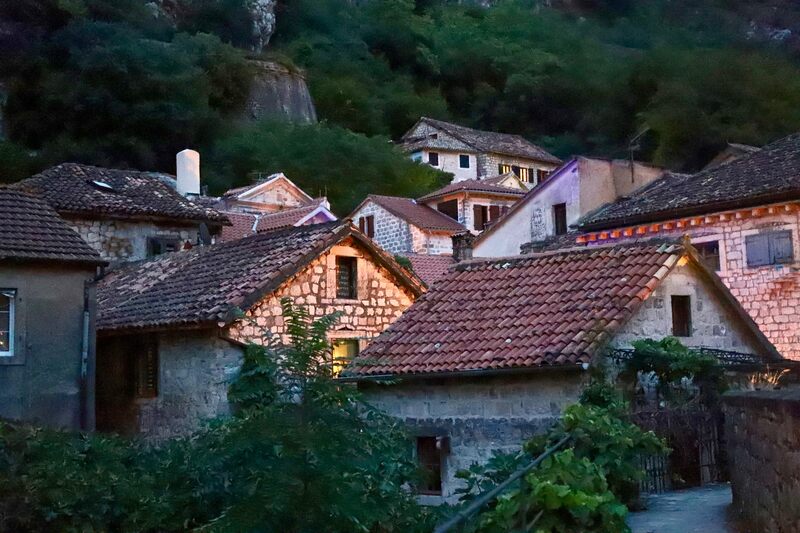 The tiny wedge-shaped old town crawls up the craggy mountain and is surrounded by a wall. Even with these crowds, I can find solace and take time to reflect on the history of this town. A maritime museum pays tribute to those seafaring locals who walked these streets some hundreds of years ago. Today, seagoing tourists disembark massive cruise ships that sail the Adriatic coast. Yet tucked into the hillside the few locals who live here year-round go about life, playing cards in their courtyards, hanging laundry, and giggling kids play in the streets. I wander into the Old Winery, the small patio is packed. The waiter sits me down with another guy to share a table. It’s Goran, the owner. 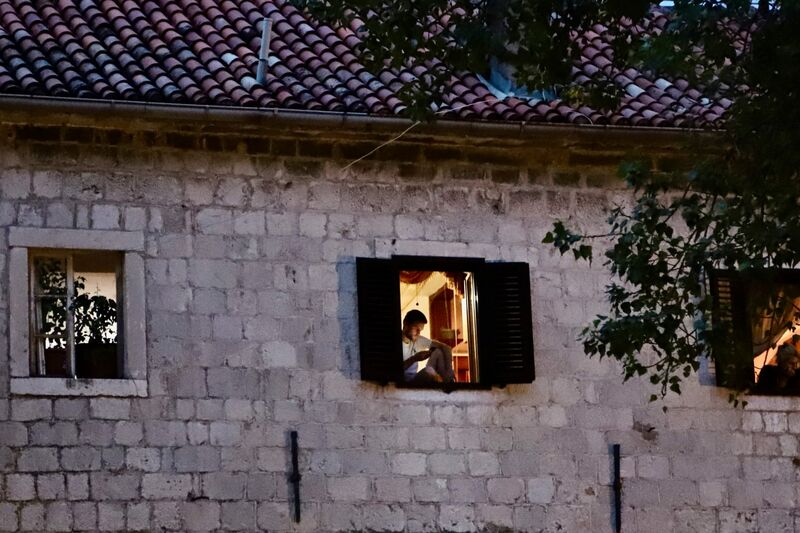 He takes me on a brief tour of Montenegrin wines and gives me tips for places to explore. He also sets me up with a massive plate of cured meats, cheese, and vegetables. “This is the small plate,” he tells me. After a few glasses of wine and a journey through Montenegrin cheese and prosciutto, I head back to my hotel. 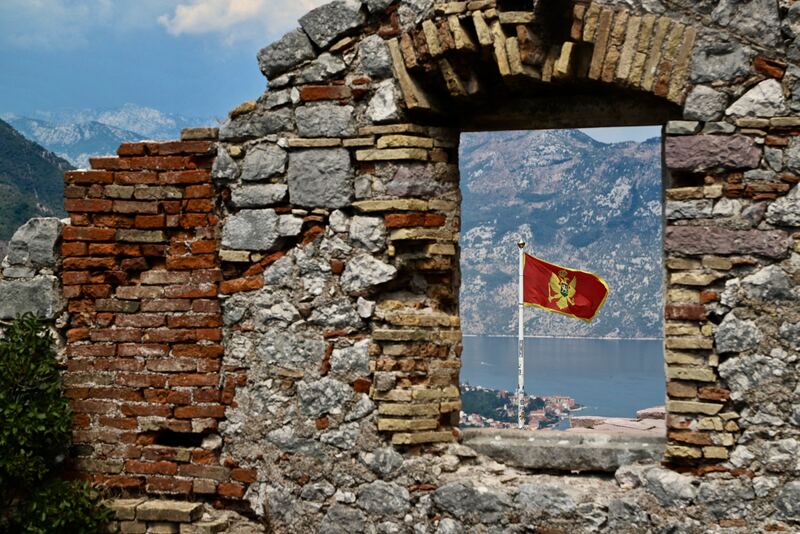 The fortress high above Montenegro offers incredible views of the Bay of Kotor and old town. It’s quite a hike, especially in these temperatures. I take about 45 minutes to climb the crazy and often maligned, and inconsistent stone steps, but once atop the reward is fantastic. Towering cliffs surround the bay, and tiny villages dot the shoreline, nestled in and climbing up the rock. Sailboats, cruise yachts, and liners move in an out. 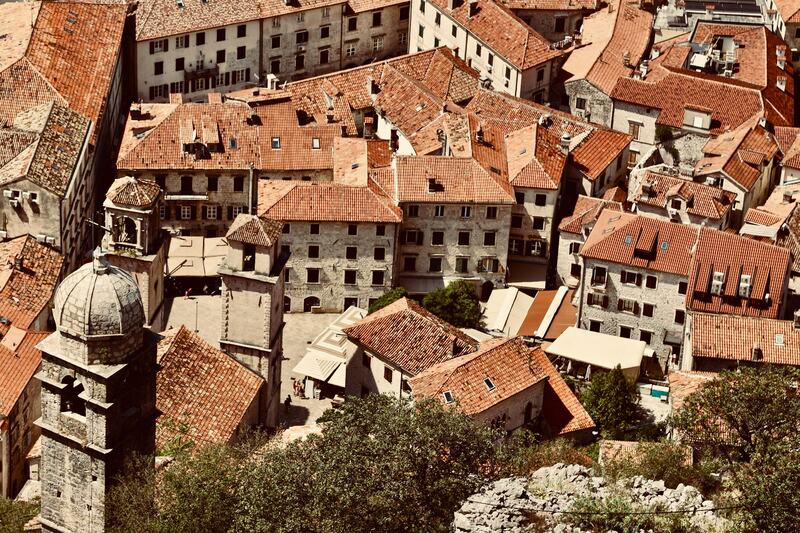 Ahh, the rooftops and steeples of Kotor. 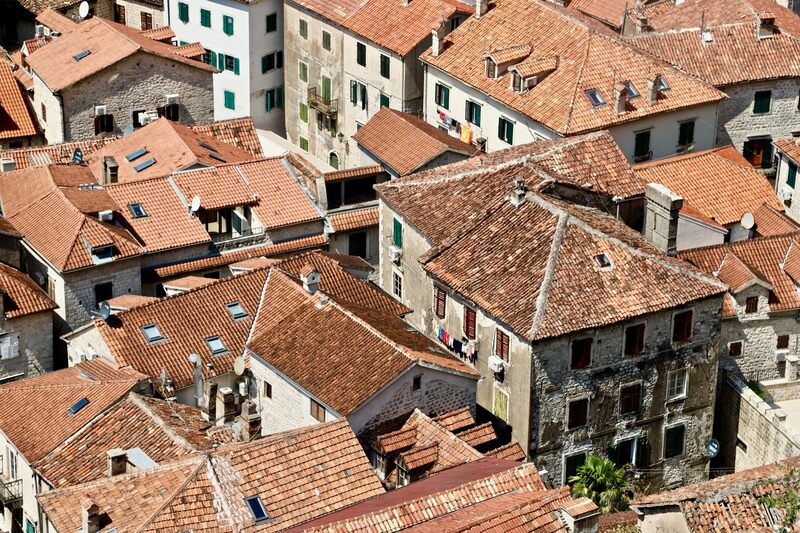 I love the rooftops of medieval cities, here some new and others with history provides a birds eye view of the towns past. 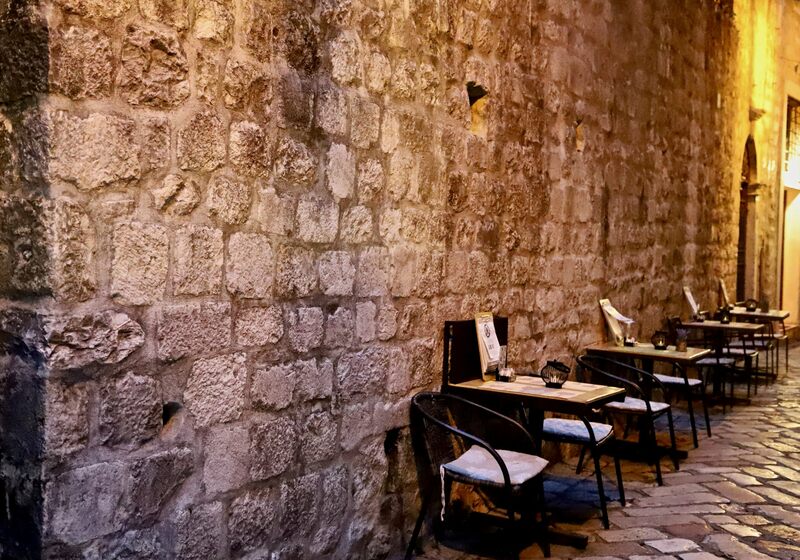 The following night I’m guided to another wine bar and restaurant outside the city walls, Ladovina Kitchen & Wine Bar, near my hotel. The food is outstanding, and I sample wines from Plantaze, one of the largest producers in Montenegro, but find that though this place touts itself as a wine bar, and includes the Plantaze branded barrique wine barrels used as cocktail tables, the red wine is much too hot. Here room temperature is pushing 80 degrees. The waiter is apologetic and defensive. “We don’t have room,” he tells me. I don’t believe it. If they can store the wine, they could have a chiller. The white and rose wines are sitting in tubs of ice. There is a way. Make no haste with waste, create art. 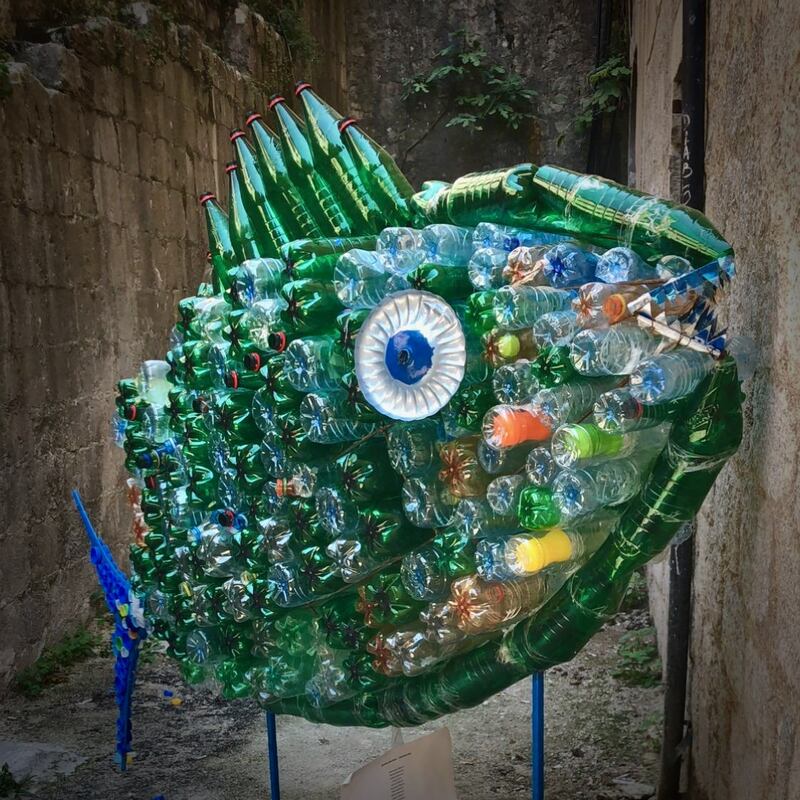 I found this fish tucked into an alley in Kotor, it’s made entirely of discarded plastic bottles. 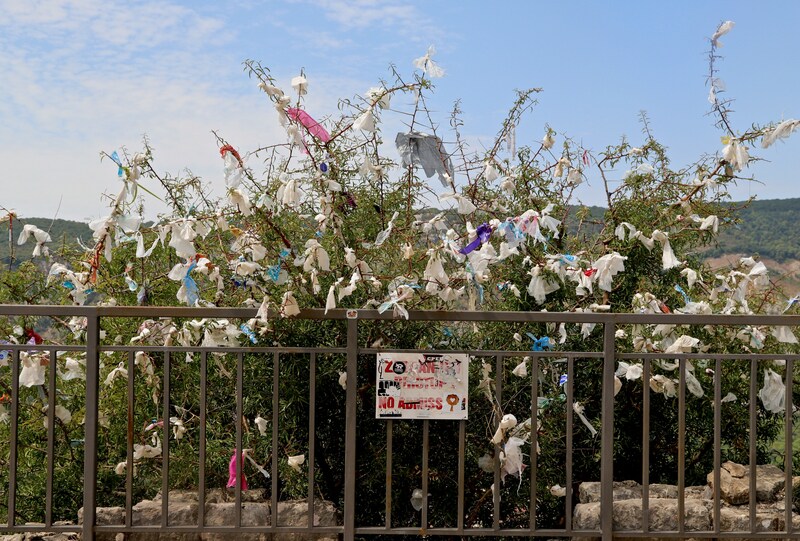 Not as attractive as the plastic bottle fish sculpture above, but instead of letting the wind blow the plastic bags strewn about the top of Kotor’s fortress, creative passersby tie them to this plant, making a statement and an art piece. 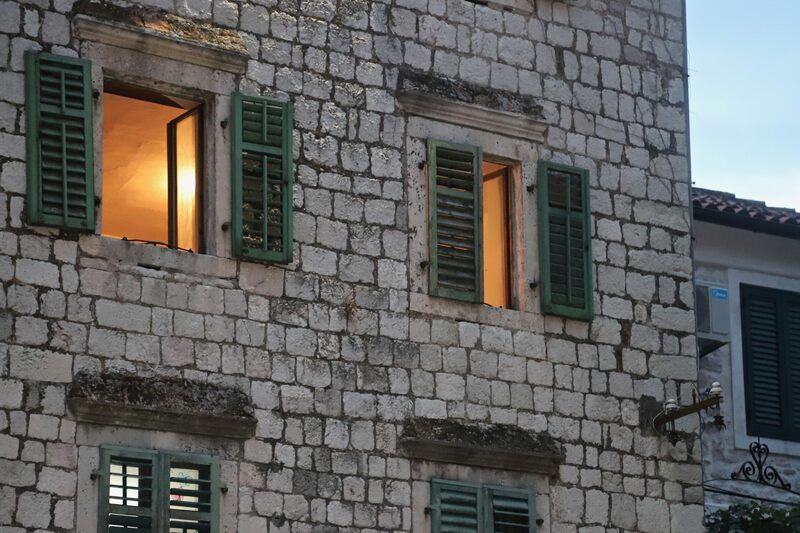 A UNESCO World Heritage Site, Kotor has strict rules, so all the windows have green shutters, I love the look and the weathered bricks and stones.